Crysis, a game everyone knows by now as that awesome game with the super suit that makes you stronger, faster and bulletproof! Crysis 1 changed the gaming world with its awesome graphics and great gameplay, I mean who would not want to play as a guy with a super suit?! Crysis 2 came out in 2011 with a big bang, with a new and improved suit, a whole new setting and just with a bunch of new improvements. I really enjoyed Crysis 2, and on top of that the game just looked amazing on console! 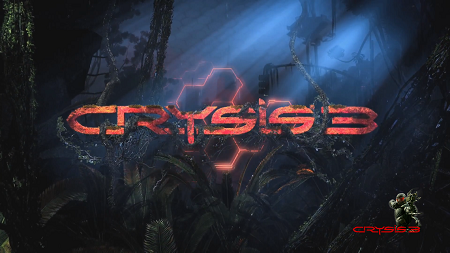 So last year in 2012 Crysis 3 was announced! Showing off the awesome new environment of New York city that has been overgrown with nature and that the awesome jungle vibe that we got from the first game was back! Close to end of 2012 a Closed Alpha version of the Crysis 3 Multiplayer was released on PC, leaving us console gamers behind, but finally in January the Beta version was released on console with two awesome game modes for us to try out! The download was 1.5GB on Xbox 360. Now unfortunately this Beta does not include any Single player content, although I wish it had. The game starts off with a nice intro movie showing off some gameplay and what you get when you pre order the “Hunter Edition”, and what you get is well worth it! So it’s mostly Multiplayer stuff, but get this, also included is a free downloadable copy of Crysis 1!! Also included with some pre orders is the Stalker pack! I finally got to the main menu which reminded me a lot of the Crysis 2 main menu, but it still looked great! So I selected the first of the 2 modes that were included in the Beta, Hunter Mode. One thing that bothered me a lot from Crysis 2 was the matchmaking time and random disconnecting, this was a big problem for me on Xbox 360. 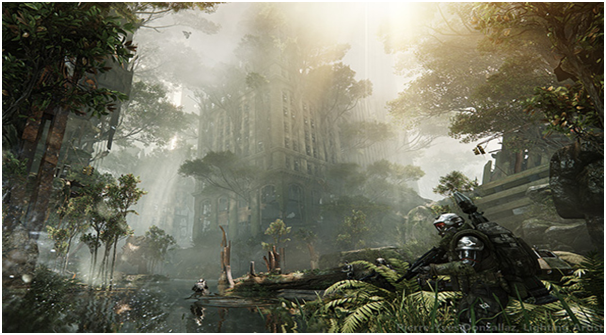 But to my surprise, in the Crysis 3 Beta I nearly instantly was thrown into a lobby! So the matchmaking has been greatly improved. The map we were playing was a swampy type of a urban jungle, it looked amazing! The match actually starts off with you and you soldier teammates in a plane being shot down by one of the “Hunters”, it’s a really cool cut scene for a intro to the match. So basically, 3 players start as Hunters and the rest are soldiers. If you get killed by a Hunter, you respawn as a hunter. If you can survive as a soldier for the full 2 minutes you win the round, and by surviving the longest you get the most points! Starting as a soldier, you have no Nanosuit powers and you get the option of 4 classes, each with its own perks and weapons, ranging from an Automatic rifle to a sniper rifle. 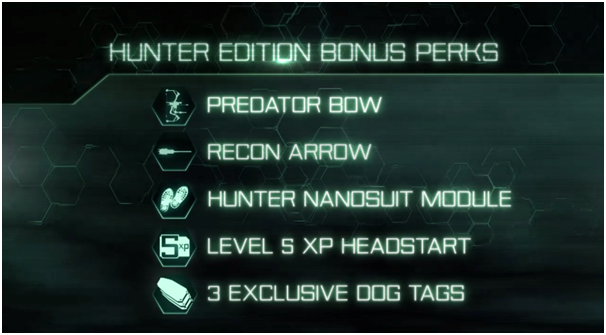 If you play as a hunter you basically get the Nanosuit and the Predator bow. 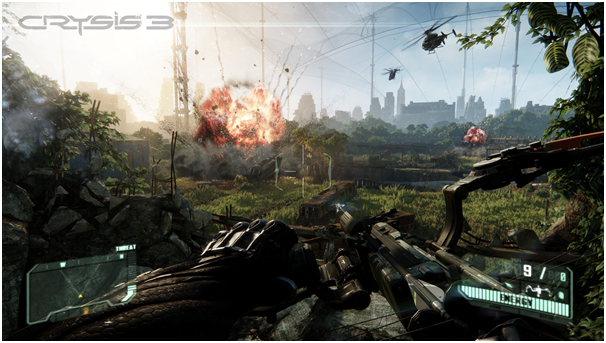 The game started and I immediately noticed that the hud has been changed from Crysis 2. It looks great and is easy to understand. The map just had amazing visuals for console, I was quite surprised! Most of the controls are still the same from Crysis 2, and this Im happy about, because some games completely change the controls when they bring out a sequel. The gameplay was smooth and there was very little latency, also a nice improvement from Crysis 2. It wasn’t 15 seconds and I was already killed by one of the Hunters! The hunters are quite hard too see, but the soldiers do have a sensor that goes off to tell you if a Hunter is near. But then the fun started, I respawned as a Hunter and it was great fun seeking out the remaining soldiers and getting some incredible kills with the Predator bow! A cool new feature at the end of the match shows you a replay of your top kills for the match, which is awesome! After that I tried the “Crash Site” game mode, the same mode from Crysis 2, which I personally played the most, just with a few new features brought into it, like you can remove panels from the pod at the crash site to use as a shield! But in the end it was basically the same as the version in Crysis 2. Personally for me the main highlight to this demo and also when the full game comes out is Hunter Mode, it’s great fun! Although Crysis might be in competition with other big titles like Call of Duty and Battlefield, it still offers something different from those other titles! 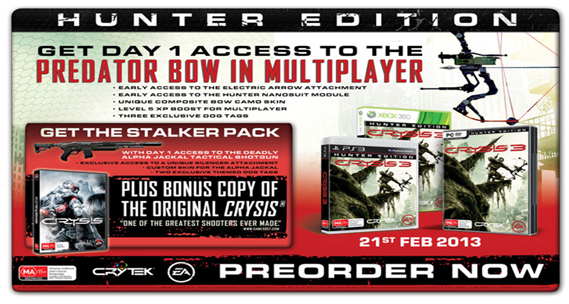 Crysis 3 will be releasing on 22nd February on all platforms, so go pre order your Hunter Edition now!